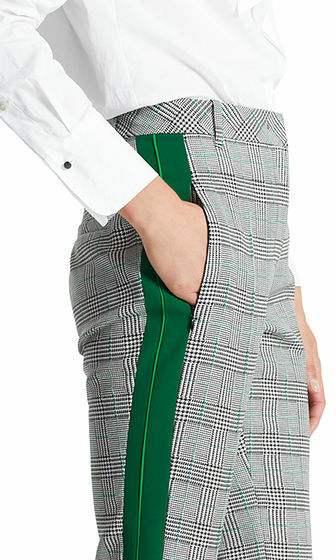 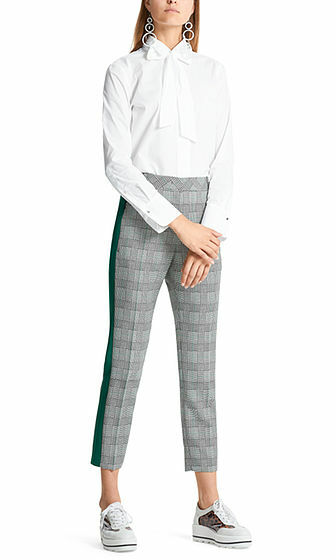 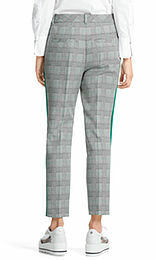 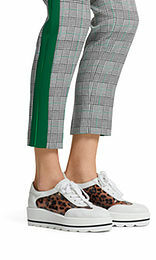 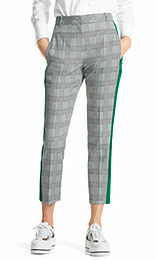 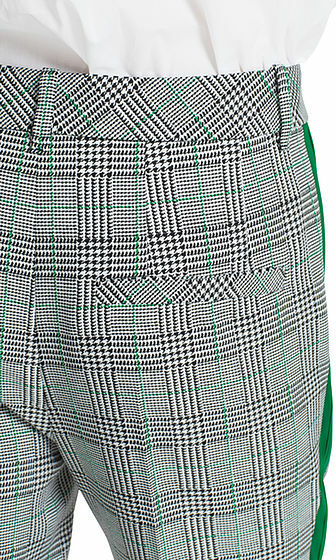 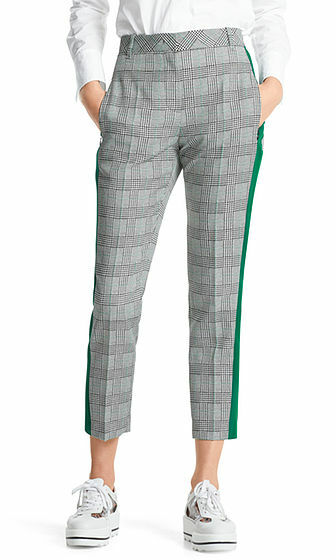 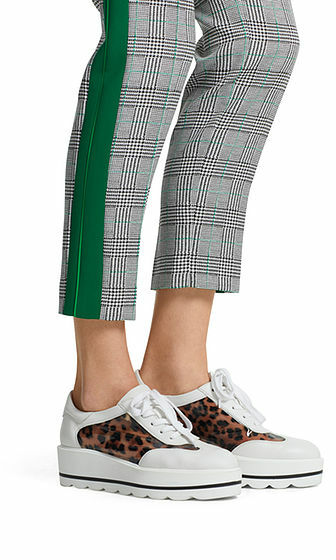 The pants have great appeal with their striking glen plaid pattern, which is complemented by contrasting colour stripes down the sides and fine piping. The pants are fastened with a button, hook and zip. 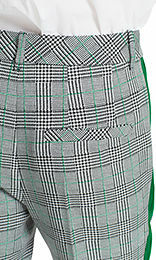 Pockets with invisible zips round off the look.